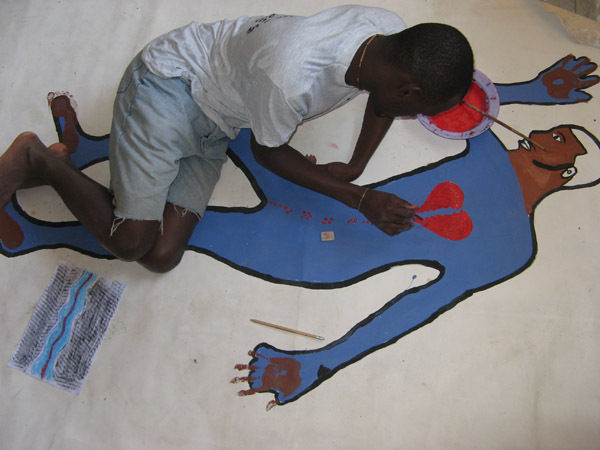 BODY MAPPING is a creative therapeutic process that allows you to explore and creatively communicate the stories that you live in your body. 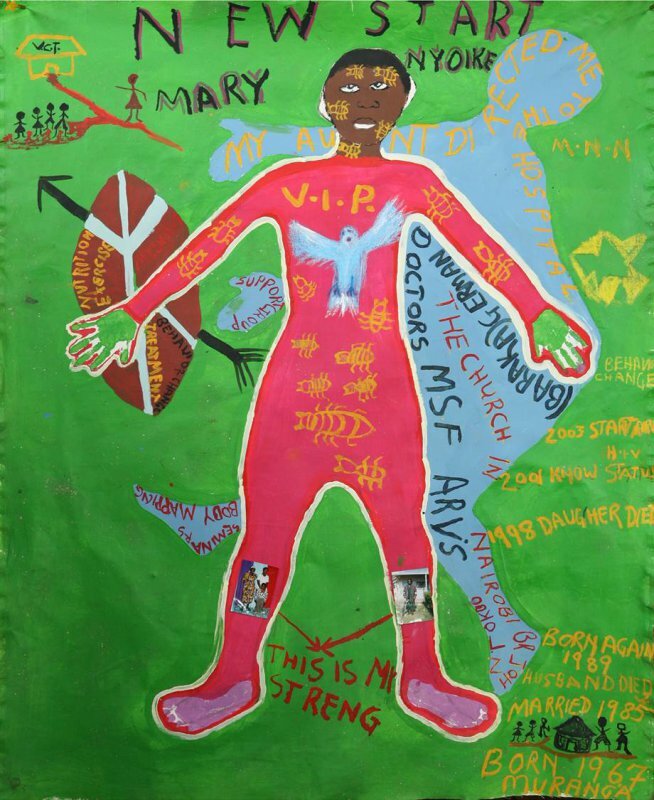 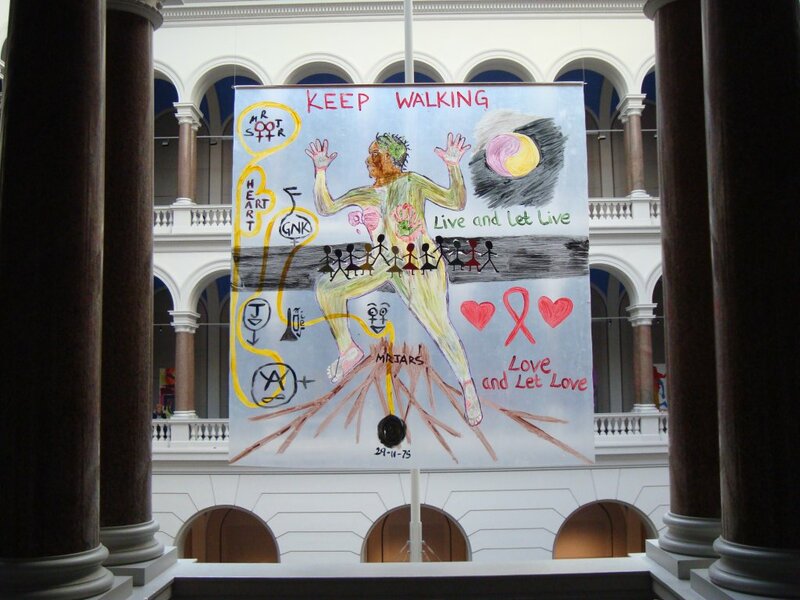 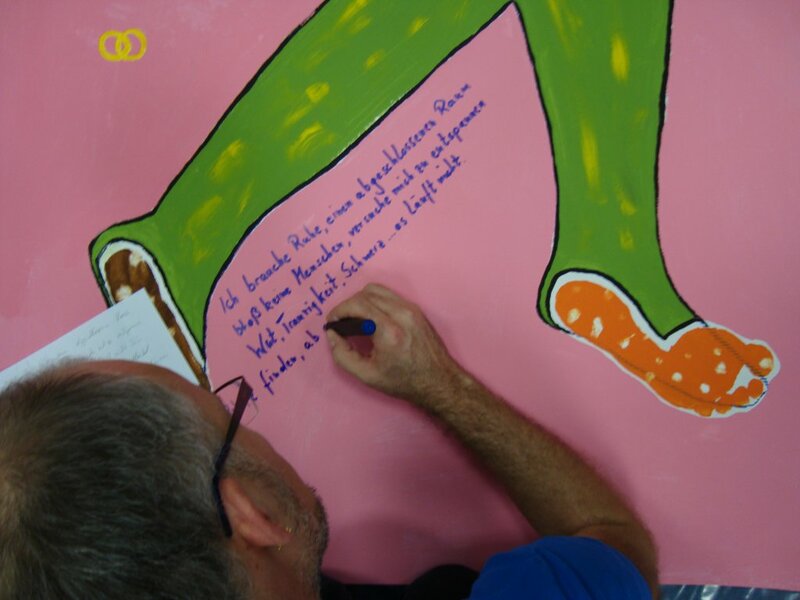 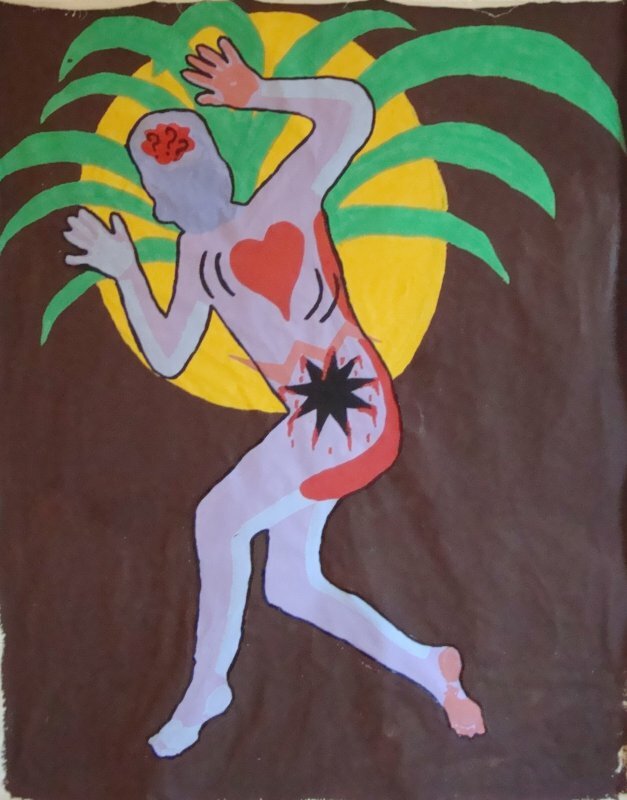 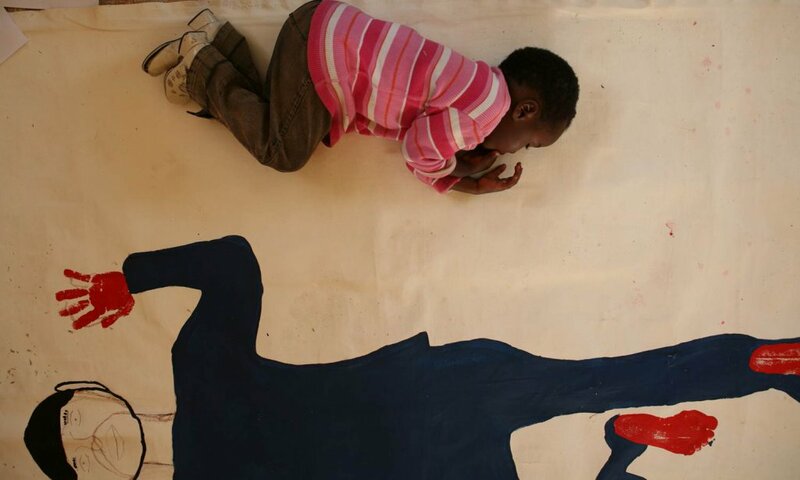 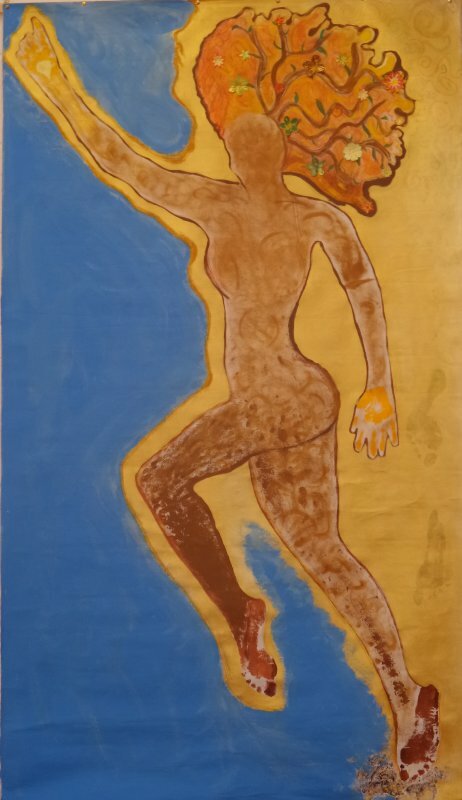 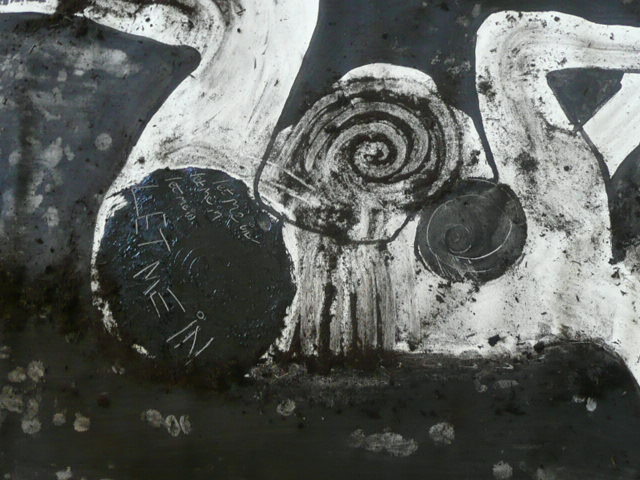 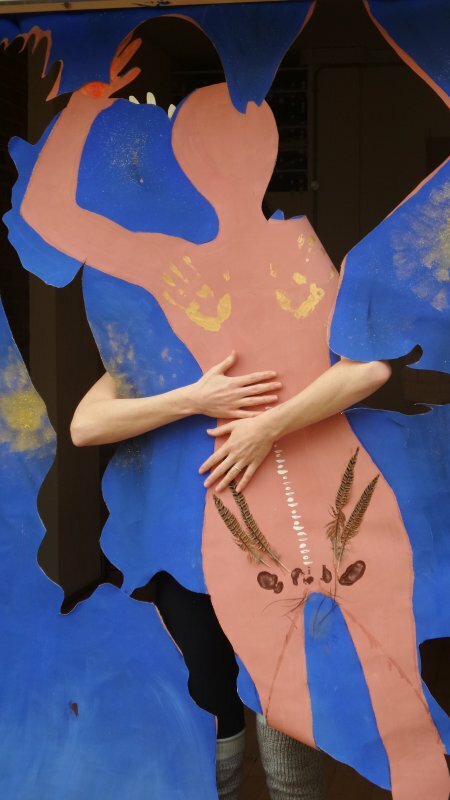 It involves painting a life-size representation of your body onto canvas and using images, symbols and words to map out places in you that are full of life, places that pain, and places that hold hope and potential for the future. 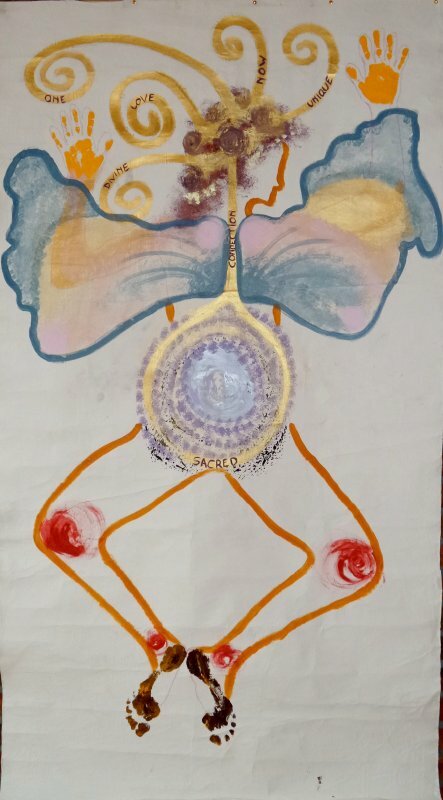 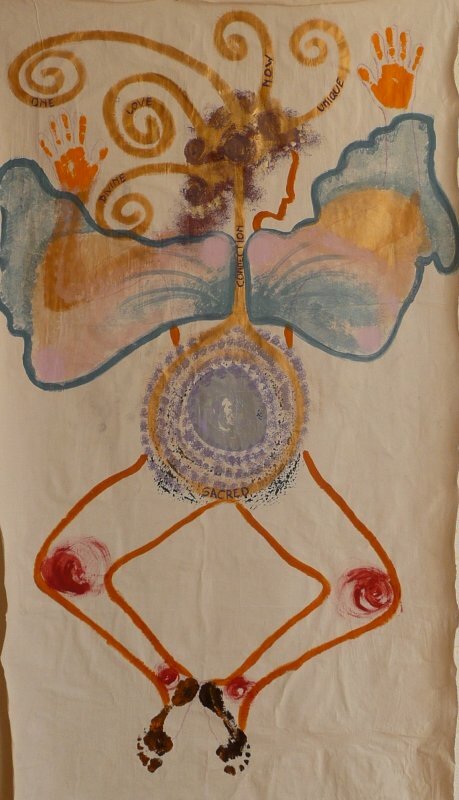 In the process of creating the body map you will discover new links between these places in you and gain a deeper understanding of your own power to create health within you and through your way of living in this world. 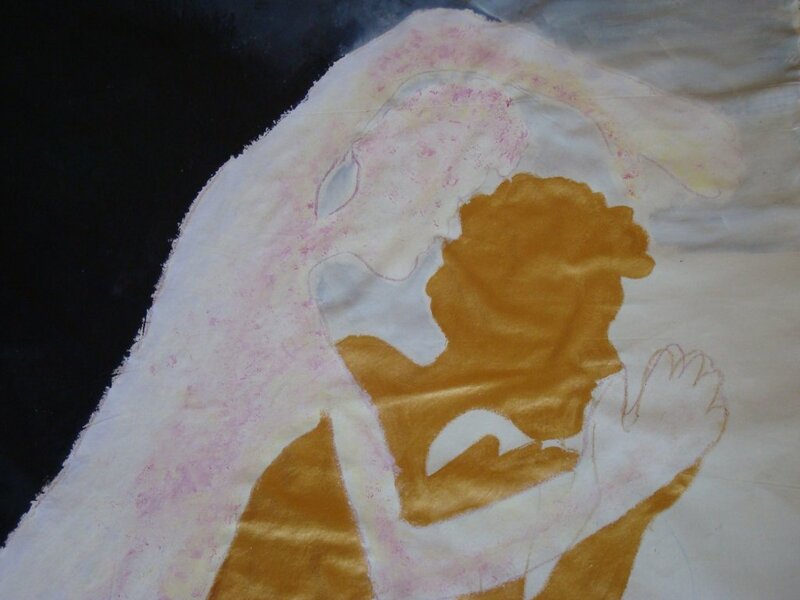 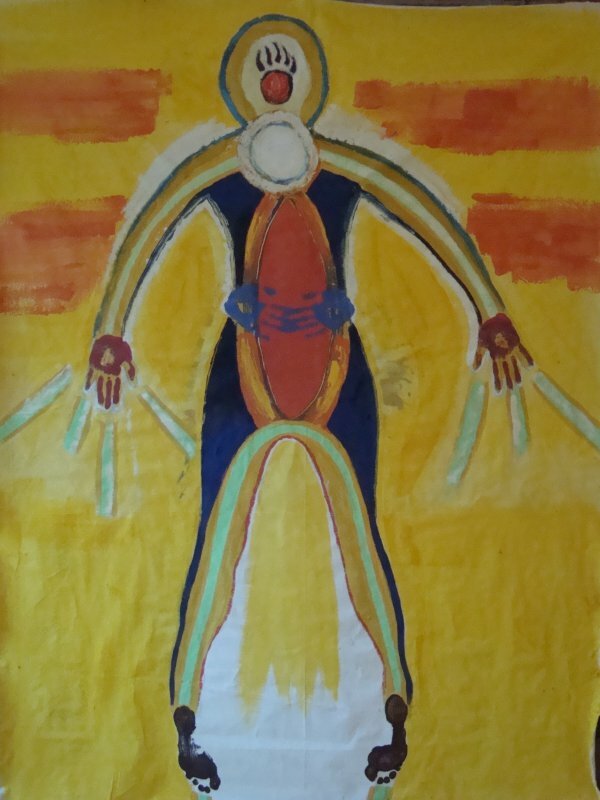 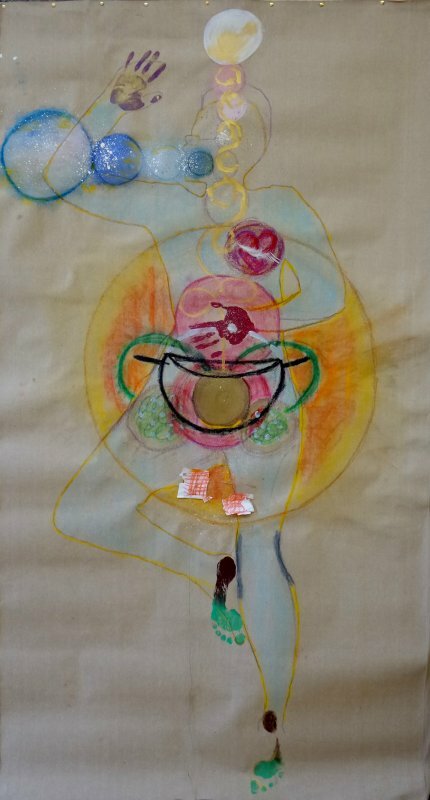 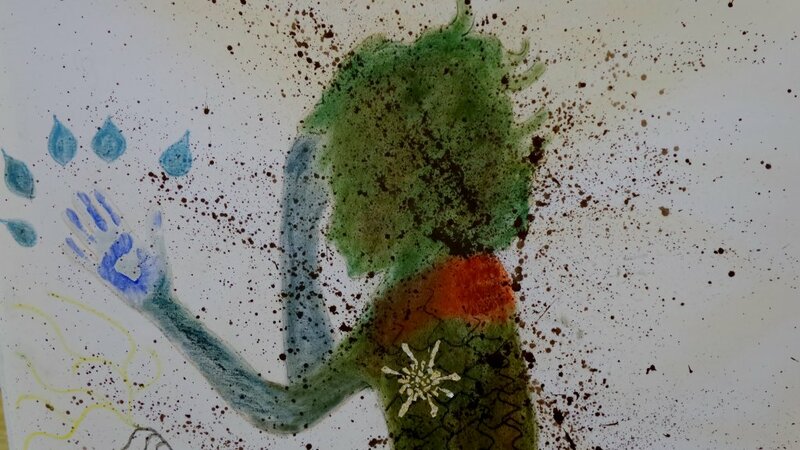 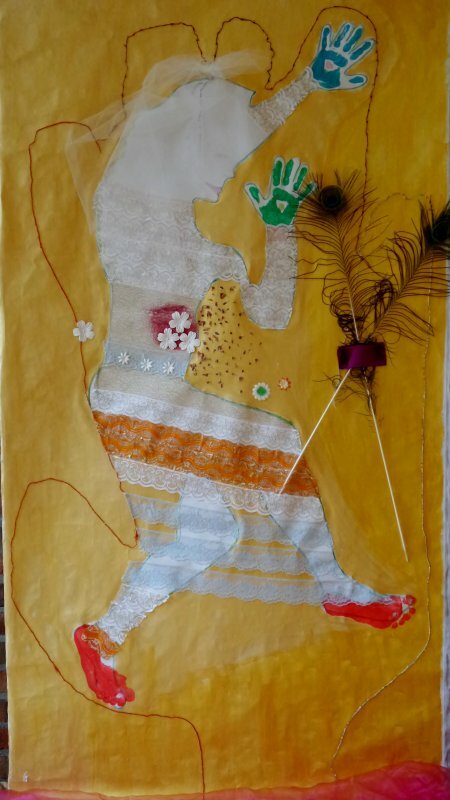 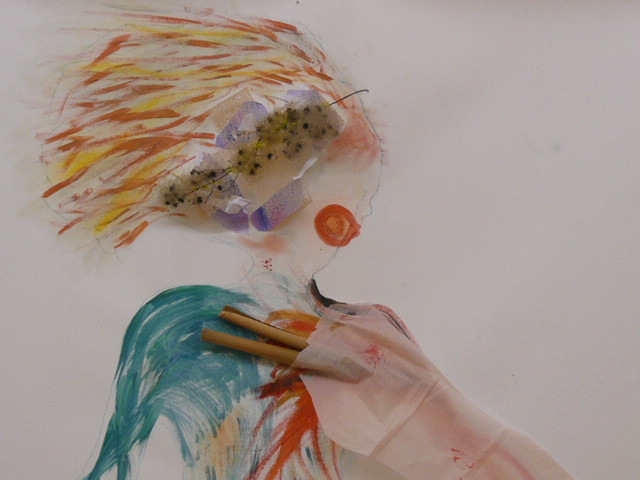 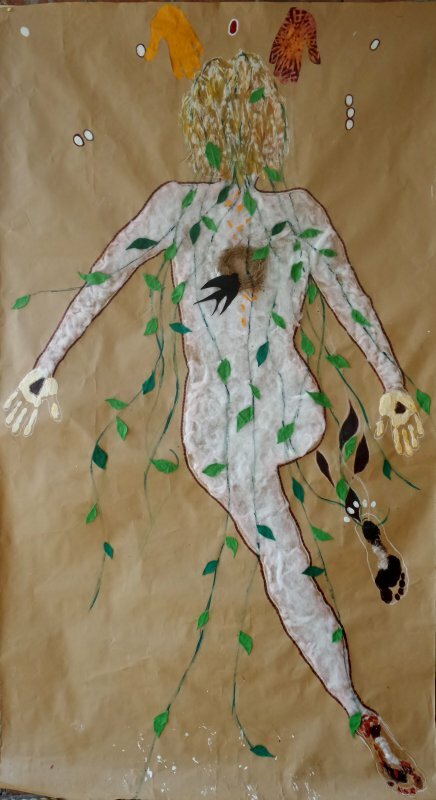 BODY MAPPING INTENSIVES take place in an intimate and confidential small group setting and interweave drawing and painting with body & movement meditations, guided visualisation, ritual and personal story telling. 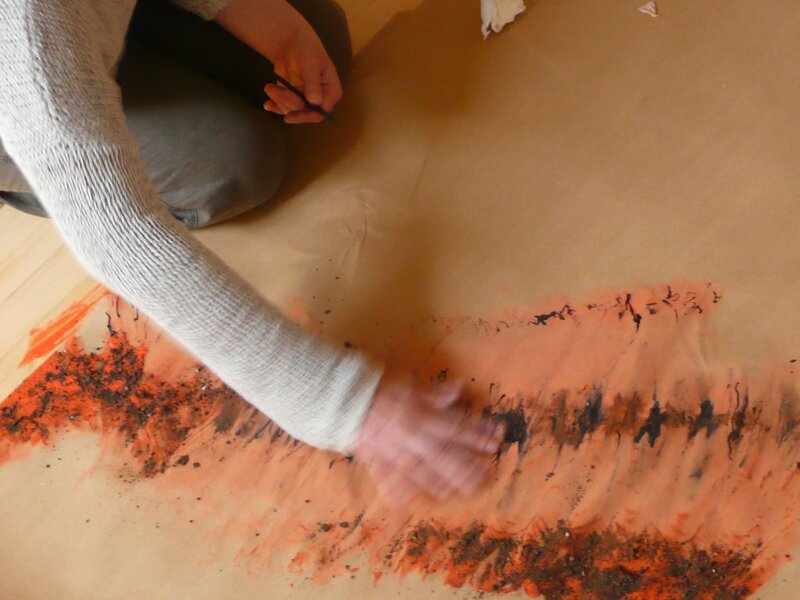 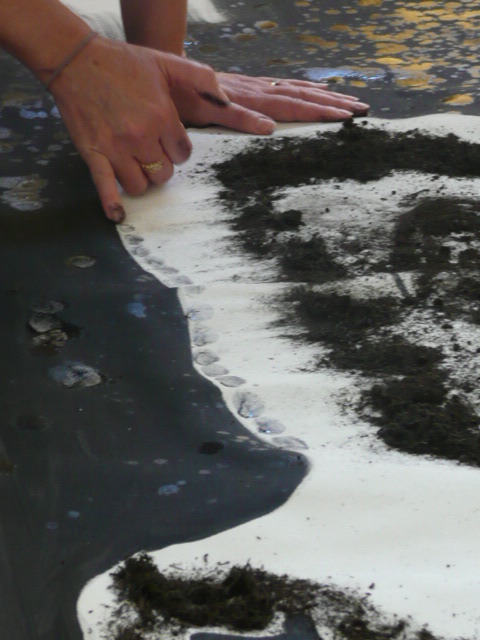 No previous experience is required and there is no need ‘to be artistic’ – in fact many workshops in the past have been with participants who had never painted or even held a colouring pencil in their hands before! 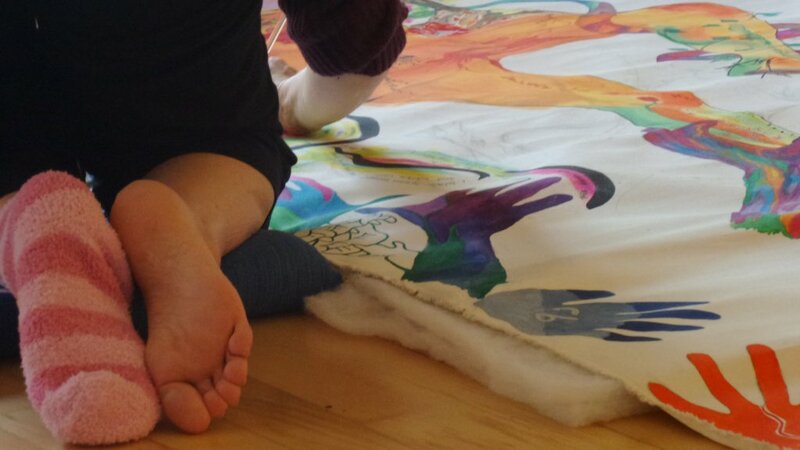 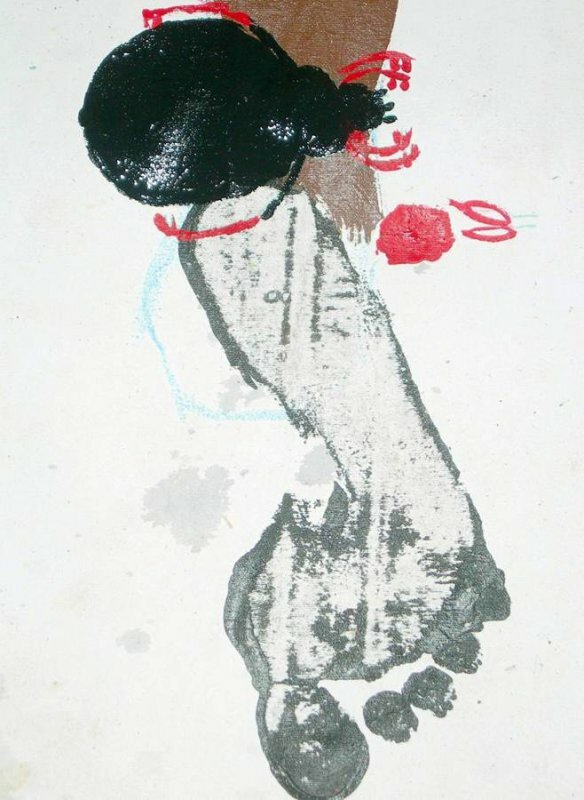 Body Mapping Intensive workshops run over one weekend and take place at The Dojo in Bath throughout the year. 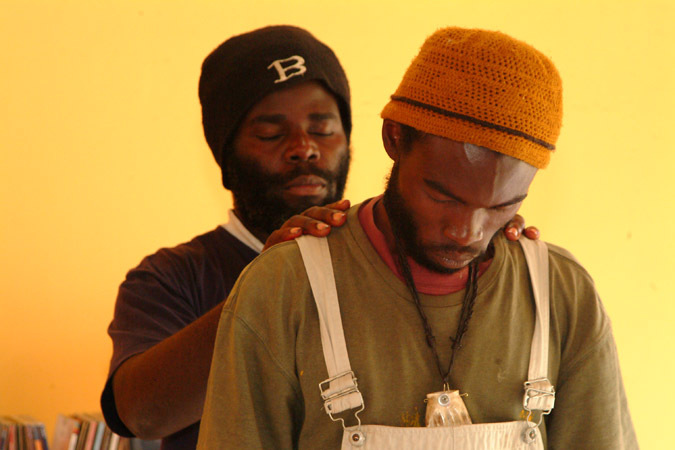 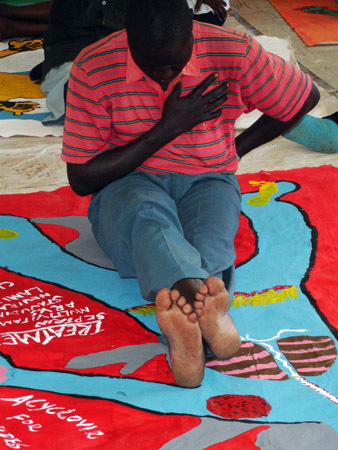 They can be attended as a one-off experience or in preparation for the Body Mapping Mentorship. 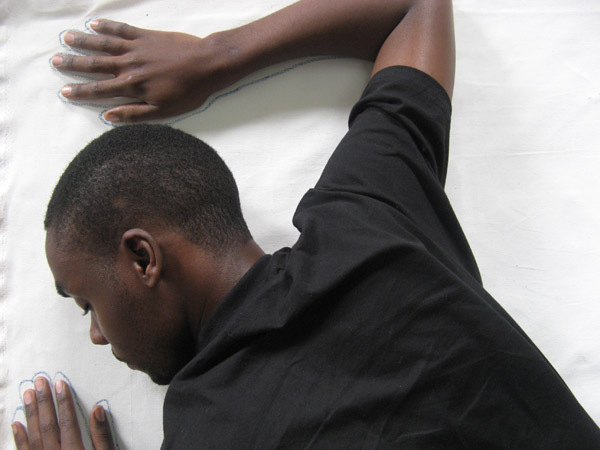 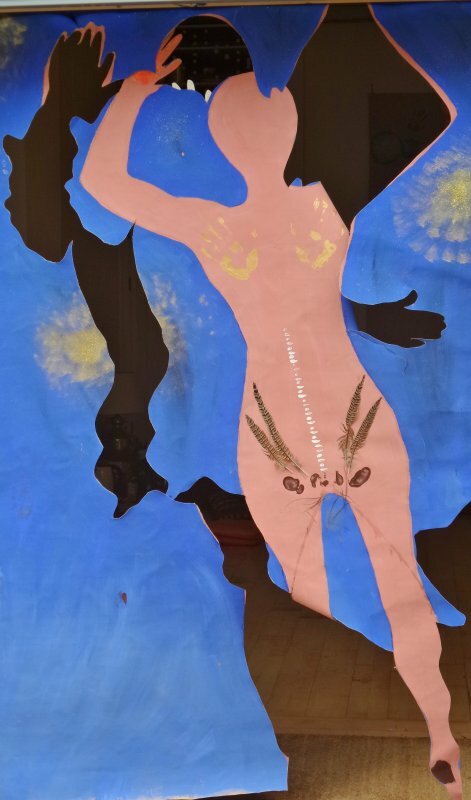 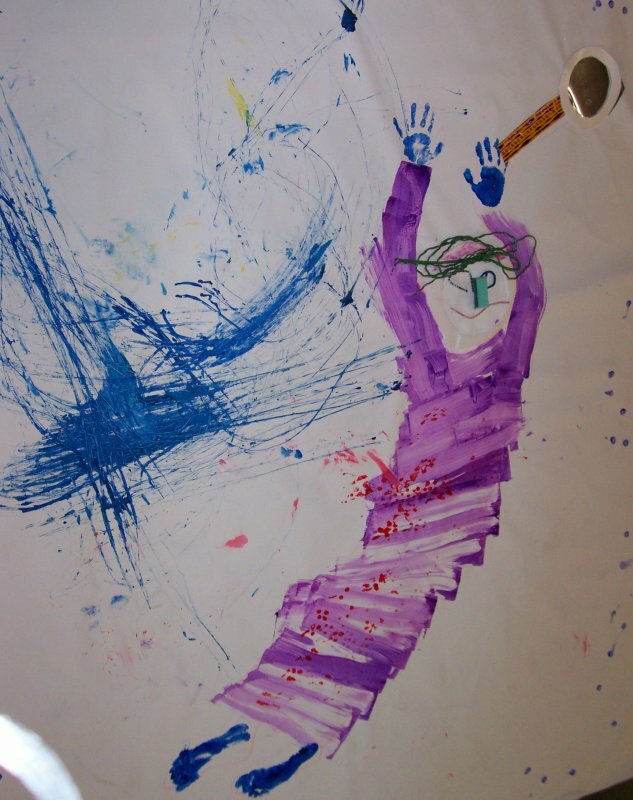 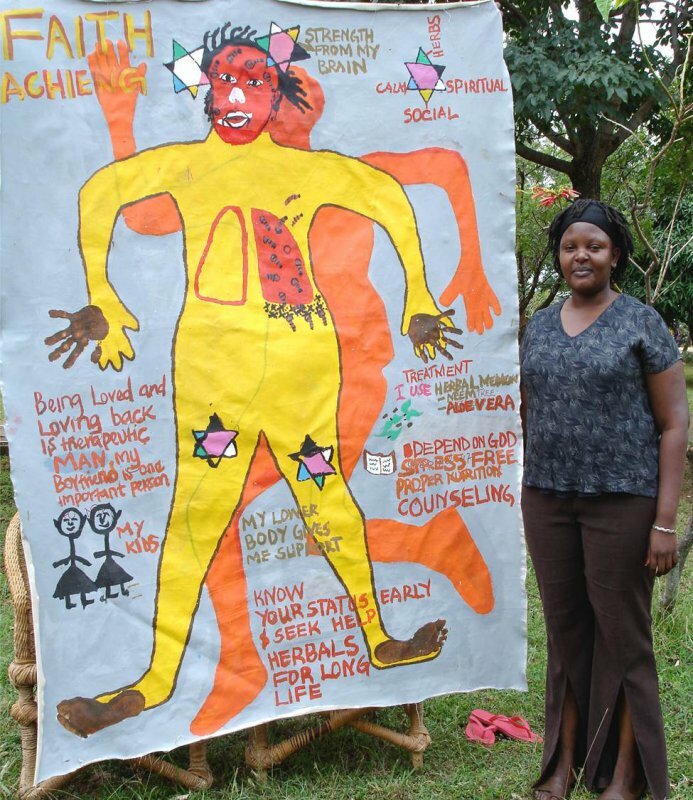 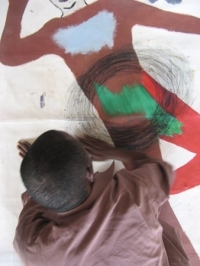 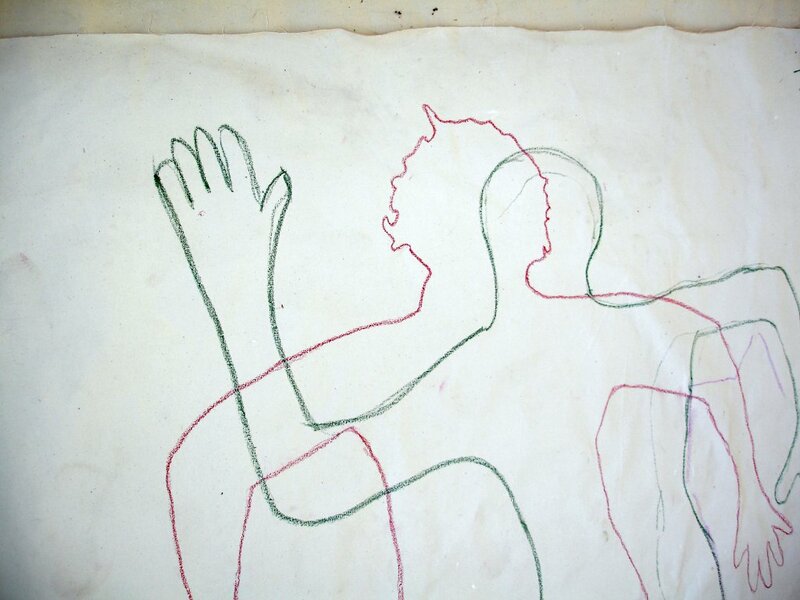 The BODY MAPPING MENTORSHIP is designed for health and arts professionals who already have first-hand experience of body mapping and would like to develop the skills to facilitate for others the deep creative and therapeutic process inherent in Body Mapping. 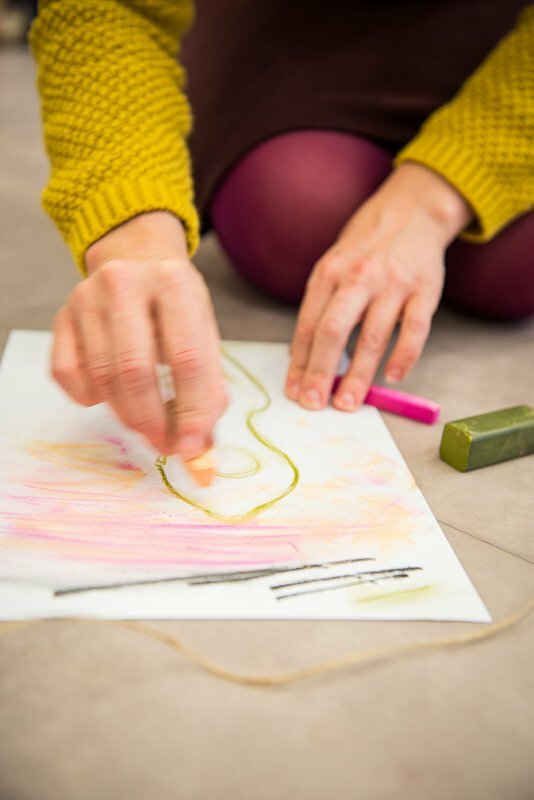 The mentorship runs over 9 months and is composed of three weekend retreats in Bristol and two one-to-one sessions over the phone or Skype. 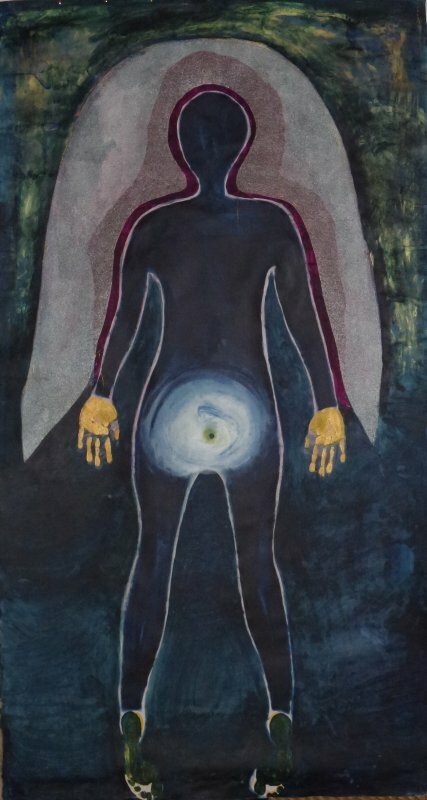 Through a cycle of experiential work, professional application and creative reflection you will give shape to your particular way of body mapping within the context of your own project or on-going work. 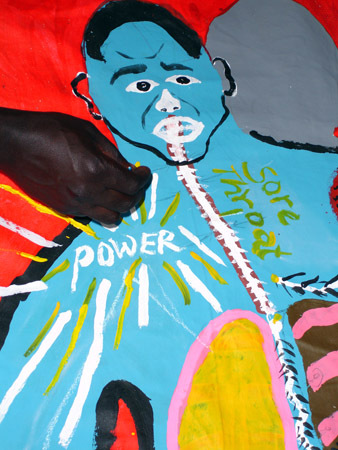 The Body Mapping Mentorship 2016/17 will be starting in September 2016. 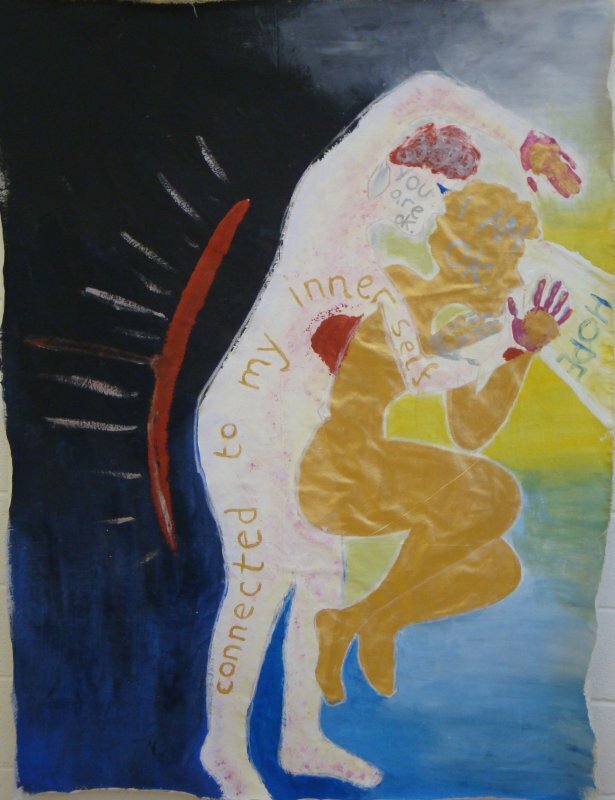 I offer Body Mapping Workshops and Mentorships for groups of individuals, existing peer and support groups as well as part of larger projects and organisations. 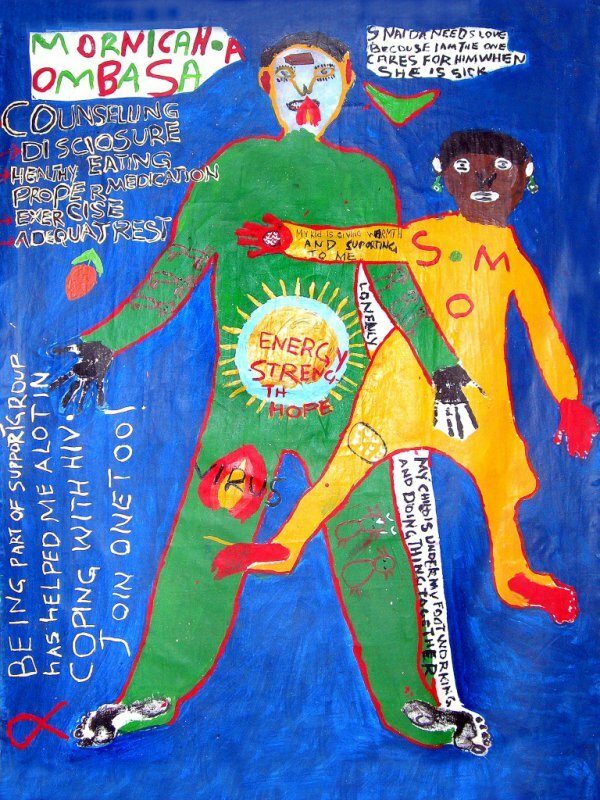 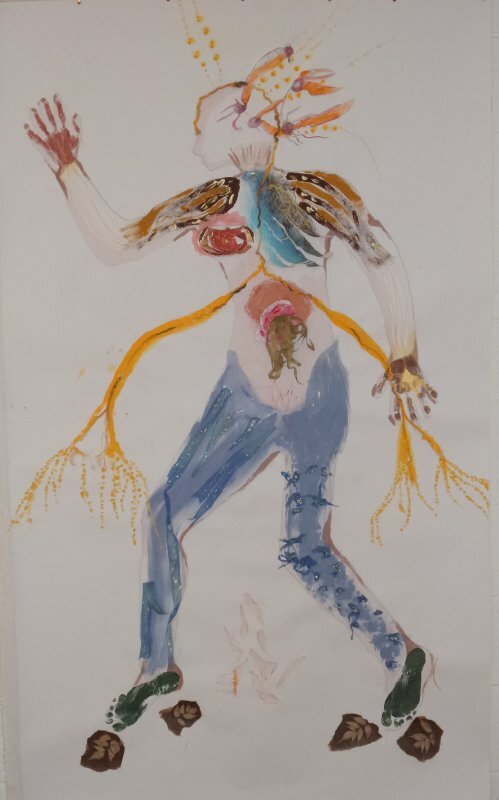 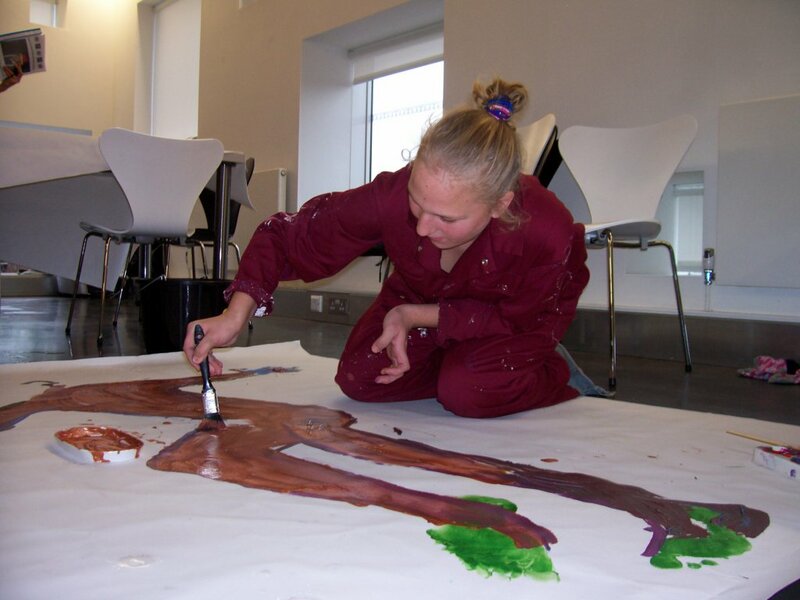 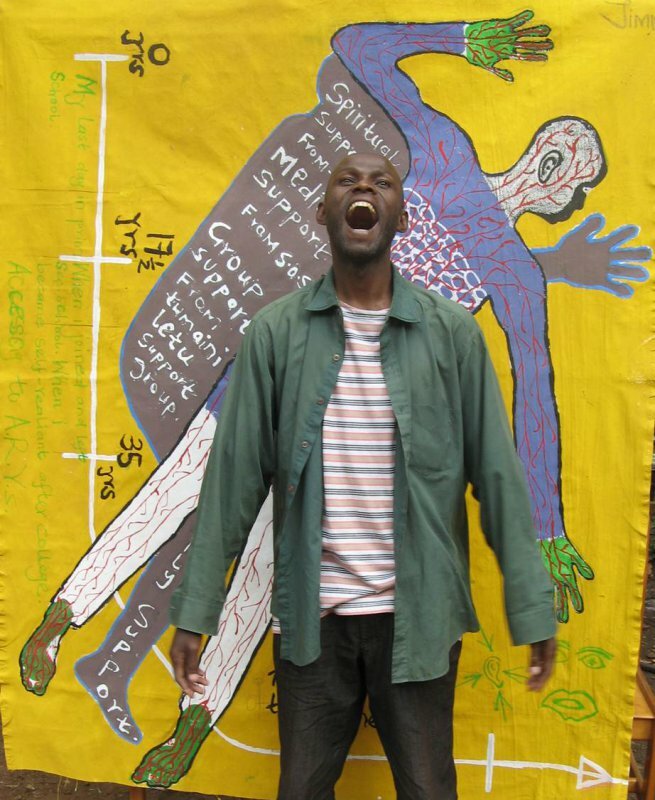 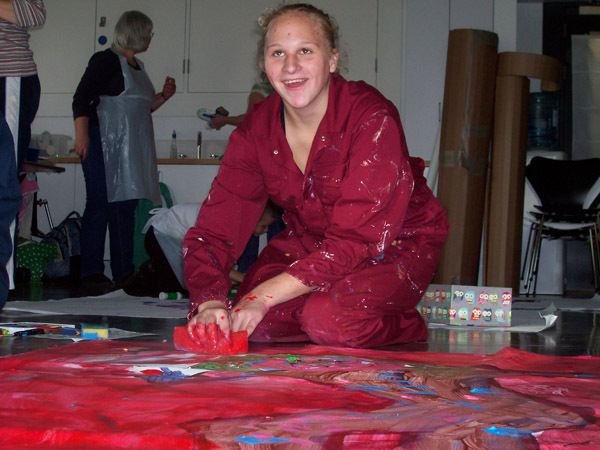 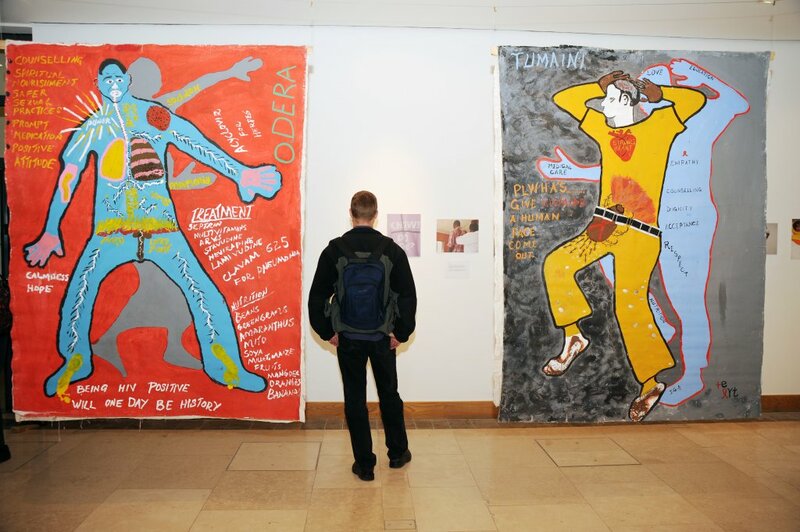 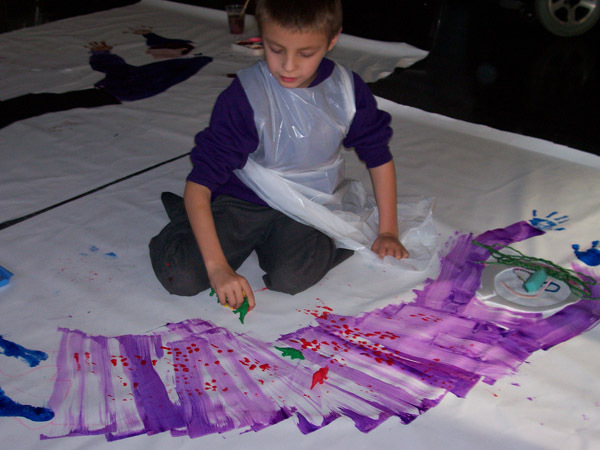 As co-founder of Art2Be I have developed the BODY MAPPING PROJECT and FAMILY ART PROJECT which combine body mapping workshops with peer / family work and public awareness campaigns to support people who experience discrimination in their society. 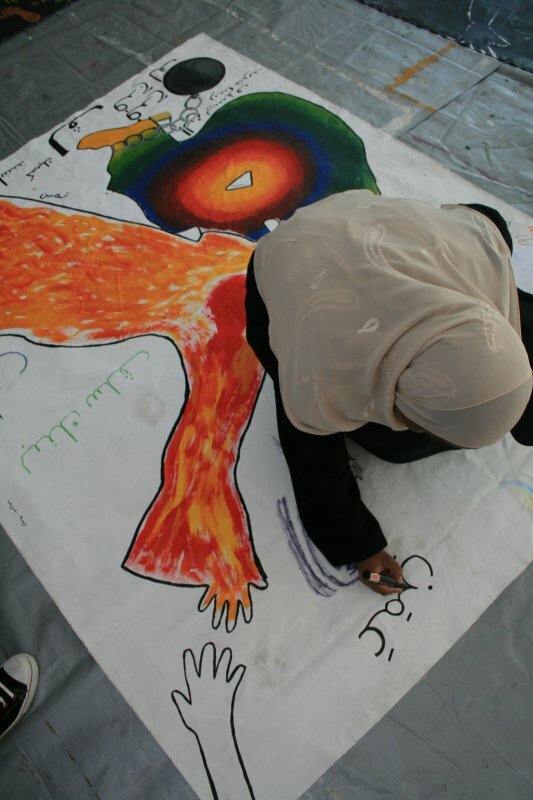 This comprehensive approach enables participants to explore their identity, and to find, trust and use their voice more confidently in private and in public life. 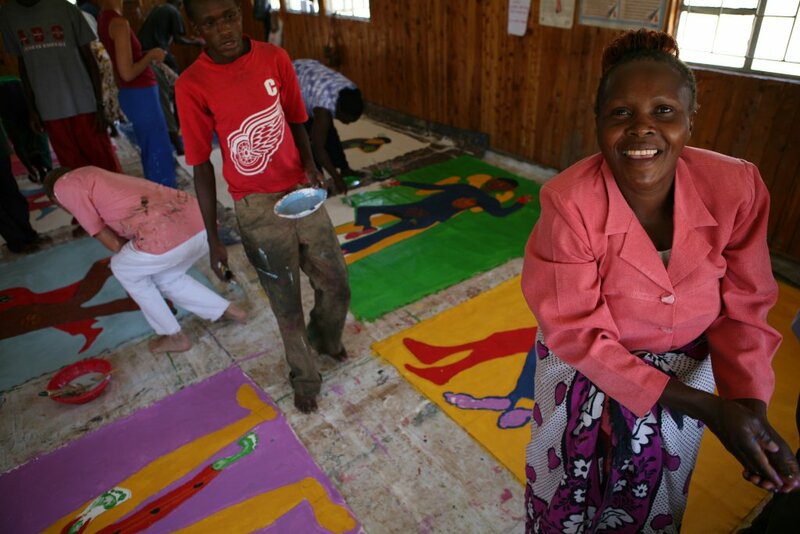 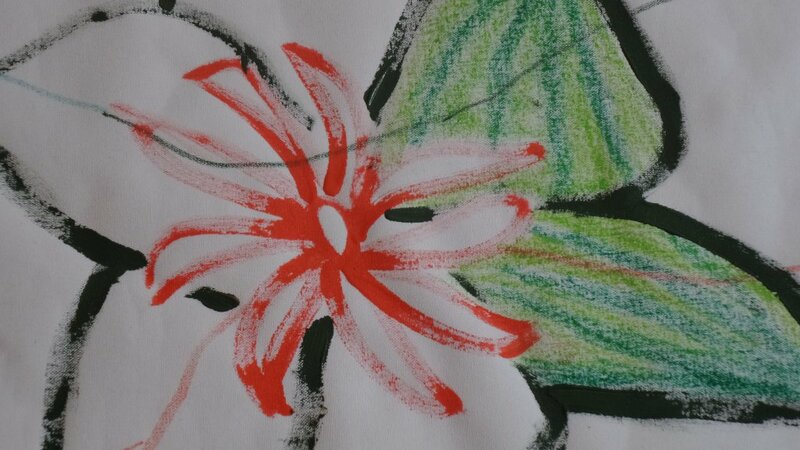 Past workshops, trainings and projects have run in the UK, Kenya, Germany, Austria and the USA. 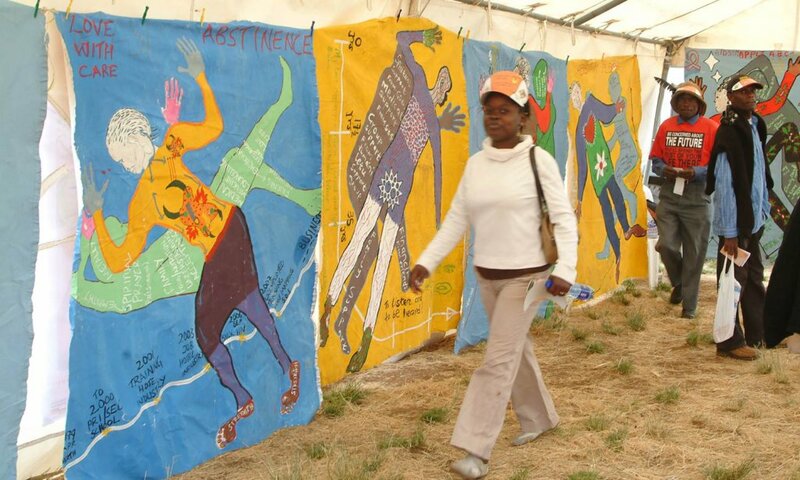 They include work with pregnant women, mothers and children, children with special needs, LGBTI peer groups, HIV/Aids support groups, women and men living with cancer, as well as professional groups of psychotherapists, social, health and legal workers. 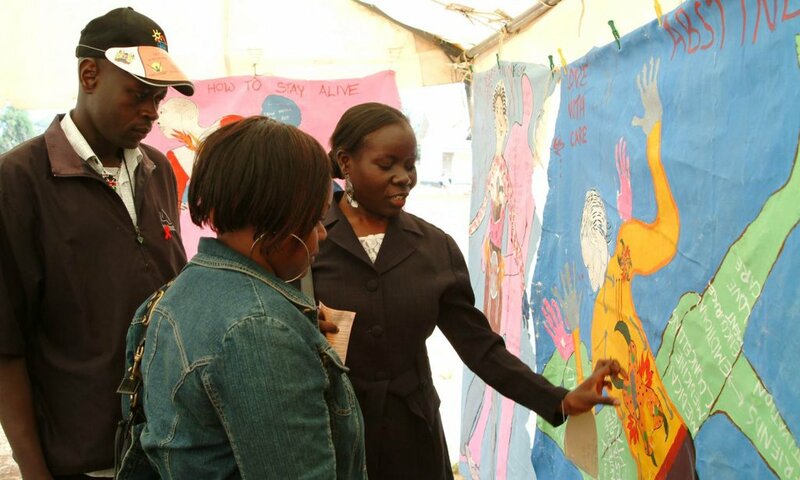 Partner organisations include the German Corporation for Development GIZ, British Council, UNICEF, TICAH (Kenya), MUNDI Global Education Centre (UK, www.mundi.org.uk), Centrespace Gallery Bristol, SOAS Univeristy London, Bath Spa University, University of Bath, Goldsmiths College London, Bates University (USA), The Patrick Dempsey Center for Cancer Hope & Healing (USA), Wiener Aids Hilfe (Austria), Deutsche Aidshilfe (Germany), and Moi Teaching Hospital and Women’s Hospital Nairobi (Kenya).